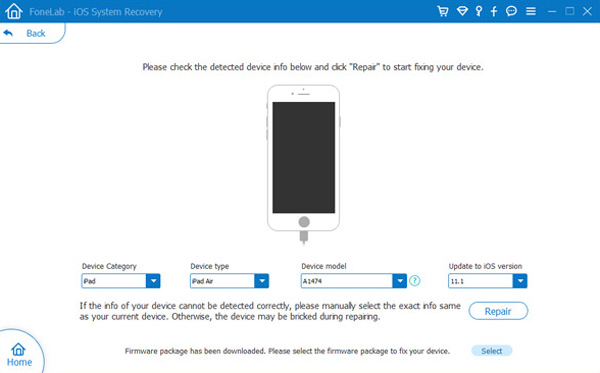 How to repair the iPhone system to the normal state? Although the iPhone system has been very stable and excellent, it is inevitable there will be problems. We cannot deny that the iOS system will appear all sorts of accidents, such as recovery mode, white Apple logo, black screen, looping on start, etc. How should we deal with these situations? Is directly to the phone repair shop to seek help or try to find out the solution by yourself? The former may cost you more time and money, and it doesn't guarantee that it will be able to successfully fix your phone. Therefore, I would recommend the latter, because there is a software can assist you and quickly and easily complete your purpose. You can use iOS System Recovery to solve your problem. This is a professional and practical data processing software. Its specialization is embodied in its targeted iOS devices like iPhone, iPad and iPod touch, committed to solving a variety of iOS data processing issues. Its practicality is reflected in it can solve and assist all kinds of data processing, such as data recovery, data delete and backup, system repair, etc., which covers all aspects of the problem. In addition, the software is safe, you do not need to worry about your mobile phone data will leak, and do not need to worry about it will be damaged and lost your phone data. Step 1. 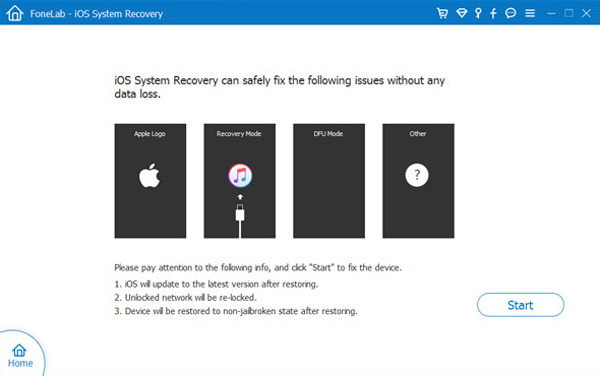 First, please install and run iOS System Recovery to your computer. Next, there are four icons on the left side of the program, you need to click on "More Tools"and then select "iOS System Recovery" on the right panel. Step 2. Please connect your iPhone to your computer with USB cable. Next, the program will automatically sense your phone, when your phone is successfully connected, click on the "Start". Step 3. At this point, you also need to download the corresponding firmware for your phone to prepare for repair system. As you can see the program has identified your phone mode and provided you with the latest version of the firmware, you can click "Download". 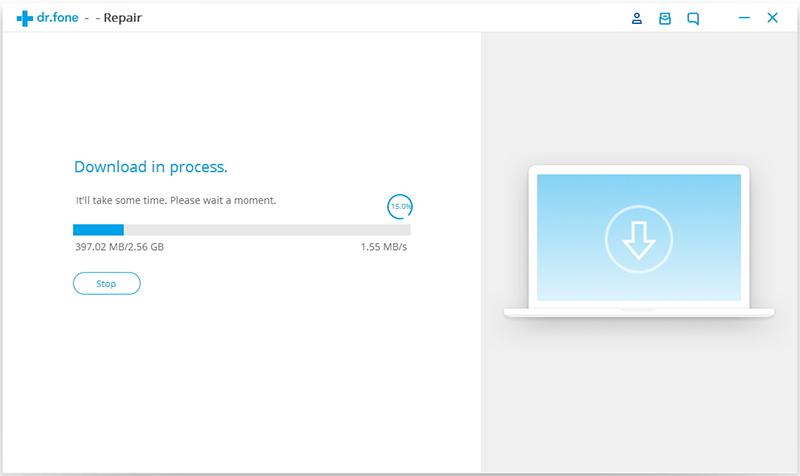 The download process takes a certain period of time. Step 4. When the firmware download is complete, the program will directly help you repair the system. This process also needs to wait for some time. When your phone is restored to normal, the program will show that “Repair operating system is done". 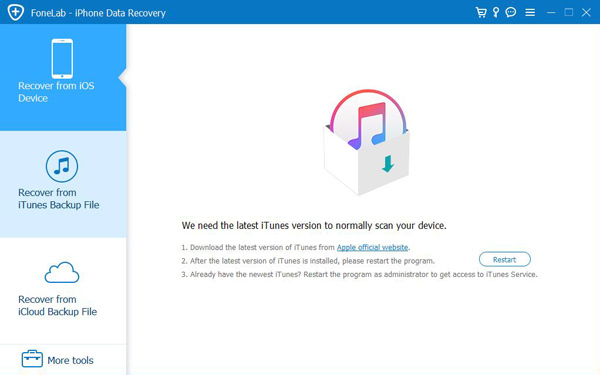 iOS System Recovery helps to fix iPhone or iTunes Error 3419,3014,4005,4013 and so on without losing any data.